Mark Brown of the Sun-Times had a great article on April 25, 2006. It is called “11th Ward election high jinks have John Daley crying foul. John Daley is not “dicking around”. I suggest John Daley not waste his energy and find out how William “Bill” Chambers got a plumbing position with the county after 30 years with the City of Chicago Department of Water Management. Bill was allowed tons of overtime when everyone else got shut down. 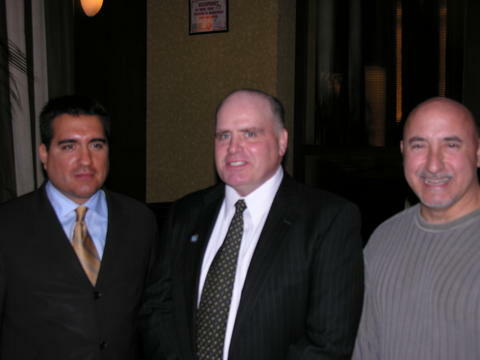 Pictured Frank Avila, Richard Remus, and Frank Coconate. Photo by Patrick McDonough.